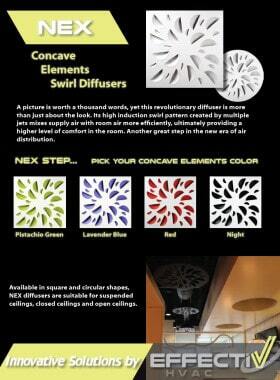 DCG Aluminum Adjustable Round Diffusers are available in multiple imperial and metric neck dimensions. 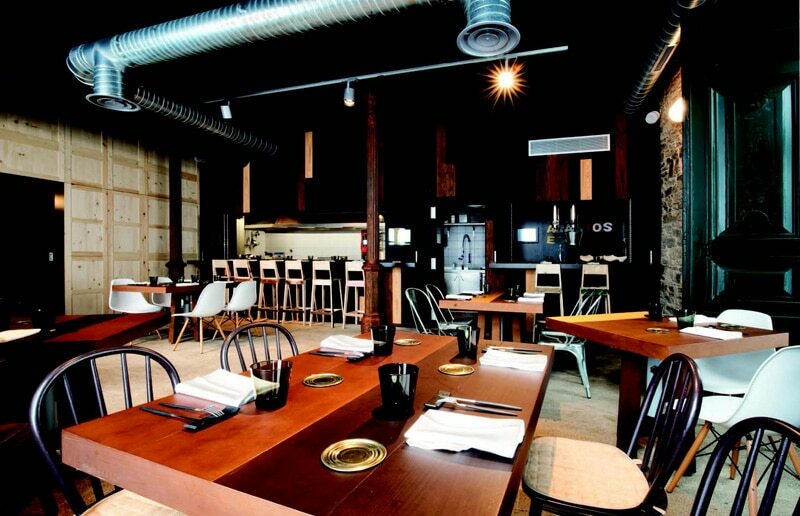 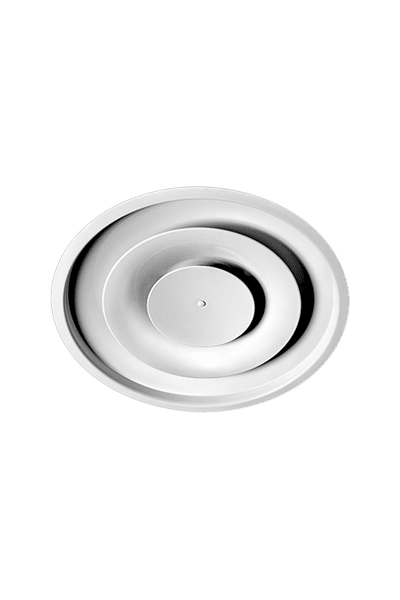 Ideal for commercial applications ranging from restaurants and stores to any application that requires vertical adjustment of the airflow, has visible ducts or higher-than-usual ceiling heights. 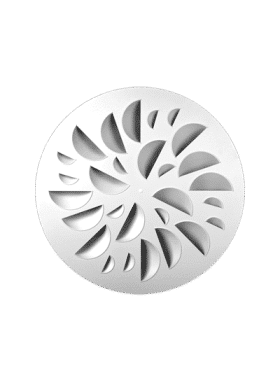 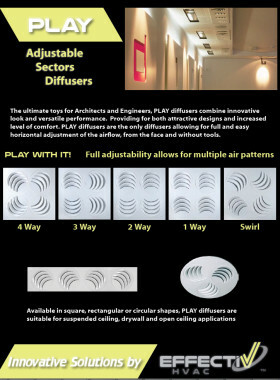 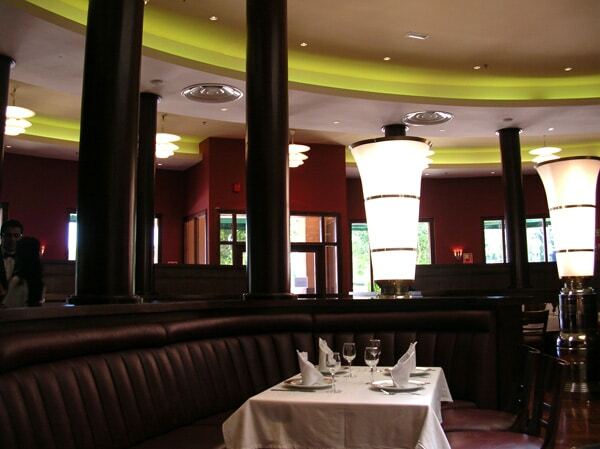 DCG Aluminum Adjustable Round Diffusers are recommended for heating, ventilating, and cooling applications. 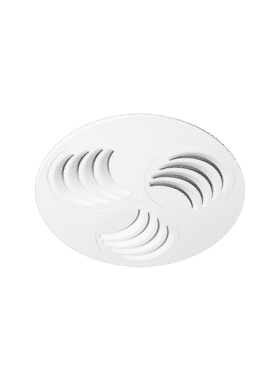 DCG diffusers provide a 360° air diffusion pattern and excellent performance in VAV systems. 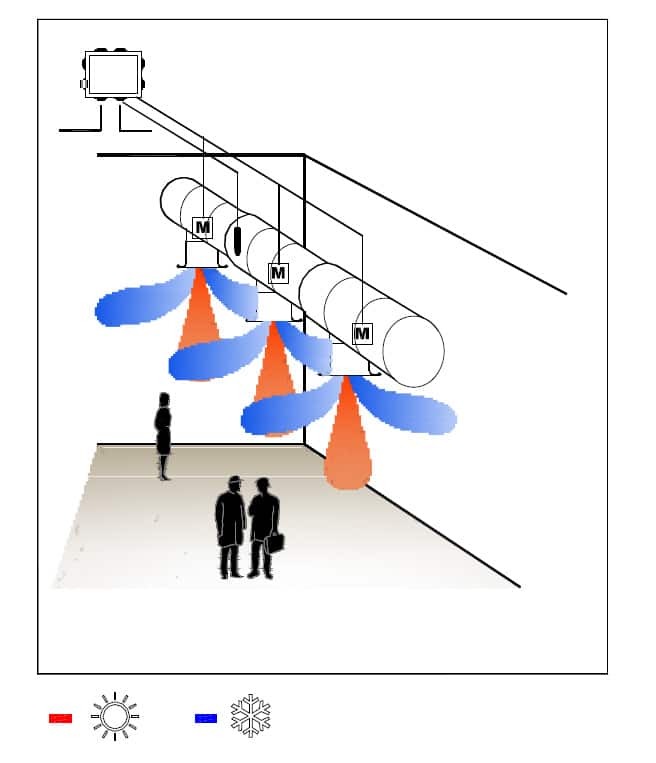 Full adjustability is possible by rotating the inner core clockwise or counter-clockwise to move the cones up or down, changing from horizontal projection to vertical projection in accordance with the supply air temperature. 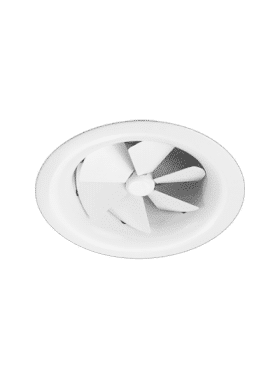 DCG might be the commercial round diffuser boosting the best vertical adjustment on the market, thanks to its largest cones’s accented profile. 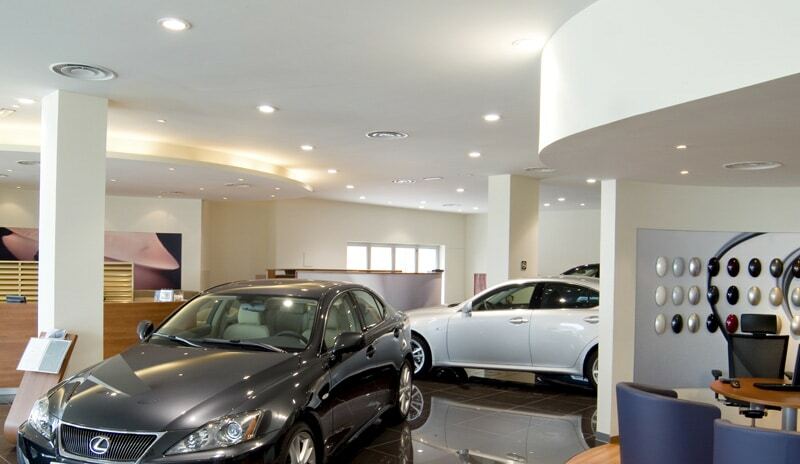 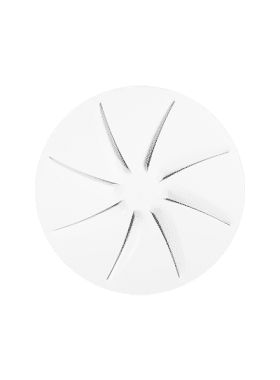 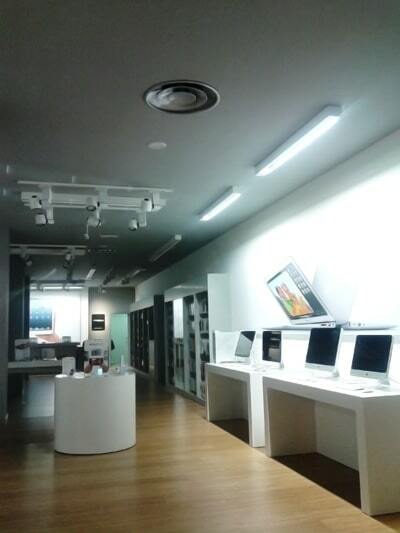 DCG round diffusers provide great performance in temperature differentials up to 54ºF (12ºC) and are suitable for premises with ceilings 8.5 ft (2.6 m) and higher. 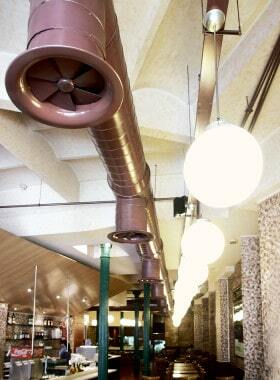 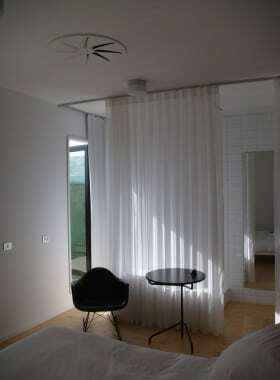 Original design by Lievore, Altherr & Molina for Madel.